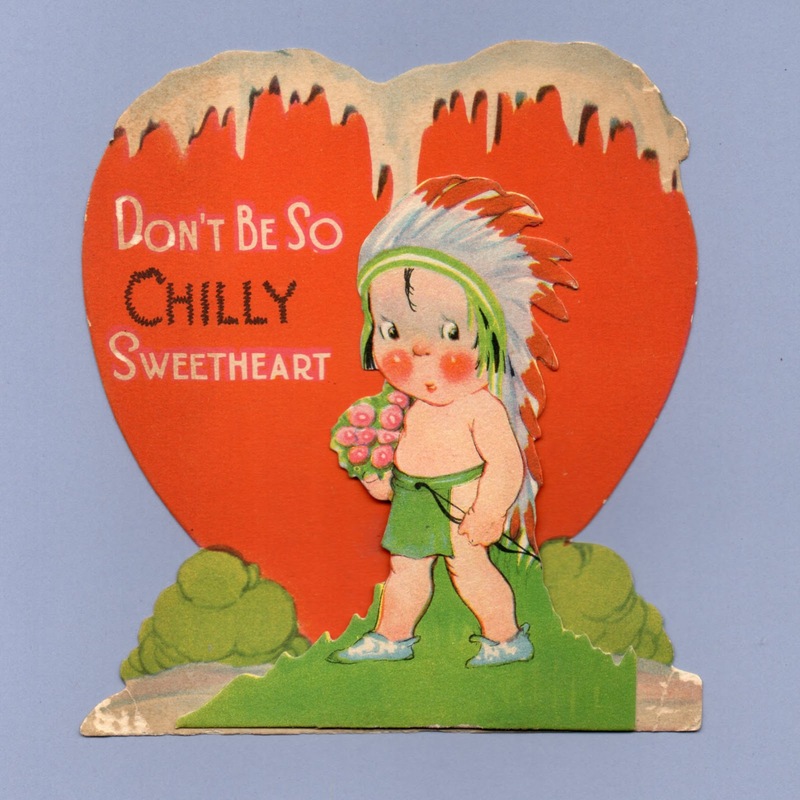 Like portrayals of African-Americans, images of Native Americans on valentines and other ephemera reflected the racial attitudes of the time in which they were created. Some cards on this page may be uncomfortable to view, but we feel it is important to remember how recent and pervasive the use of racist and ethnic caricatures were in mundane, daily entertainment. It normalized negative stereotypes in a way that made overt institutionalized racism such as the residential schools for Native American children possible. That's not to say we don't still see such imagery around today - we do - and while there is plenty of room for improvement, we have come a long way in that it is not as common, not as ordinary, not as accepted in mainstream society without any real challenge as it was, in our (not all that distant) past. 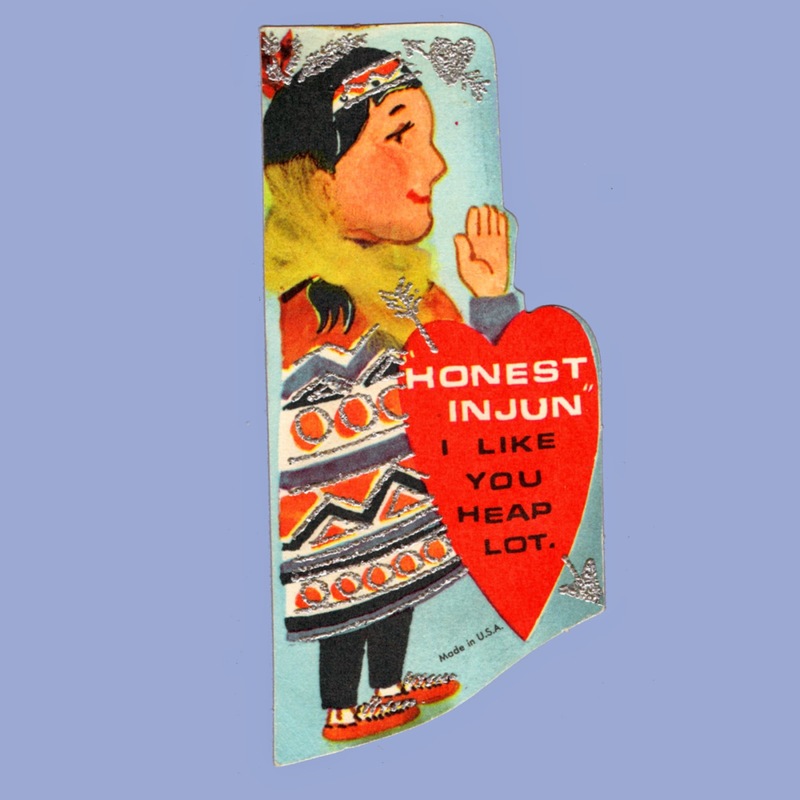 HONEST INJUN Valentine! If you ever get outta my SIGHT It'll be an-ARROW escape! HOW 'bout us be-um Valentines Me not Squaw-k. Be-um mine. Honest Injun I like you Heap lot. 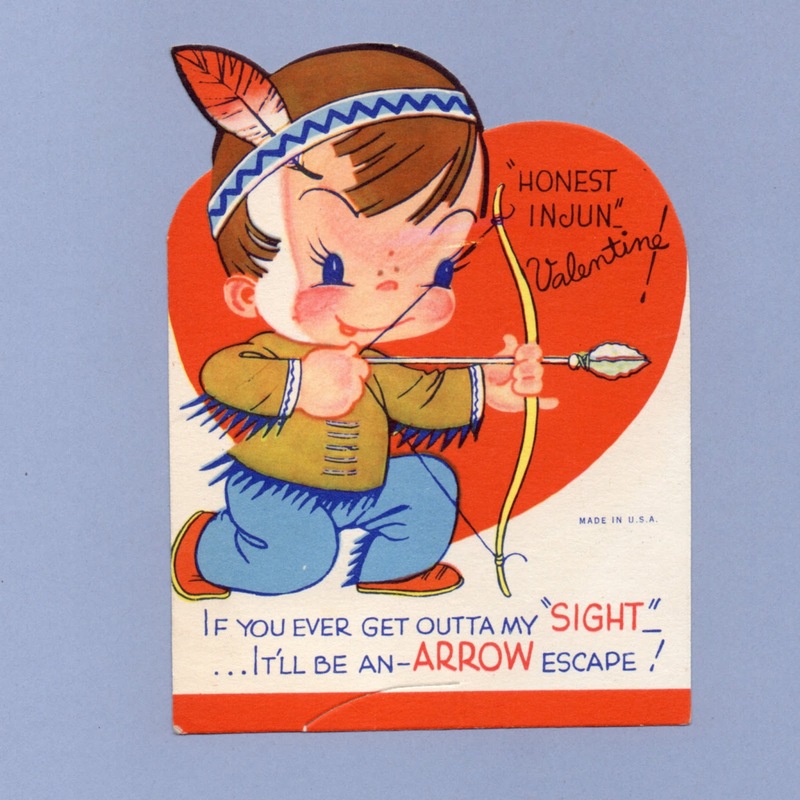 Honest Injun ...I want you for my Valentine! I'm no Indian Giver. I wampum you Valentine! I'm huntin' for you! Be mine? I'm sending a sign Be My Valentine! I'll not be con-TENT Honest Injun. My heart beats like a tom-tom When I think of you, Dear Valentine. I'm sending this ARROW CHIEFLY to say Let me be your BEAU My Valentine. I'd never SQUAWk if you'd be My Valentine! 2 3/4" x 5 7/8"
May I be your BOW? Ugh! Ugh! Give me your heart Valentine! Ugh! Ugh! I'm an INDIAN GIVER it's time you should learn it for I won't give my Love unless you'll return it! You heap fine valentine and how! 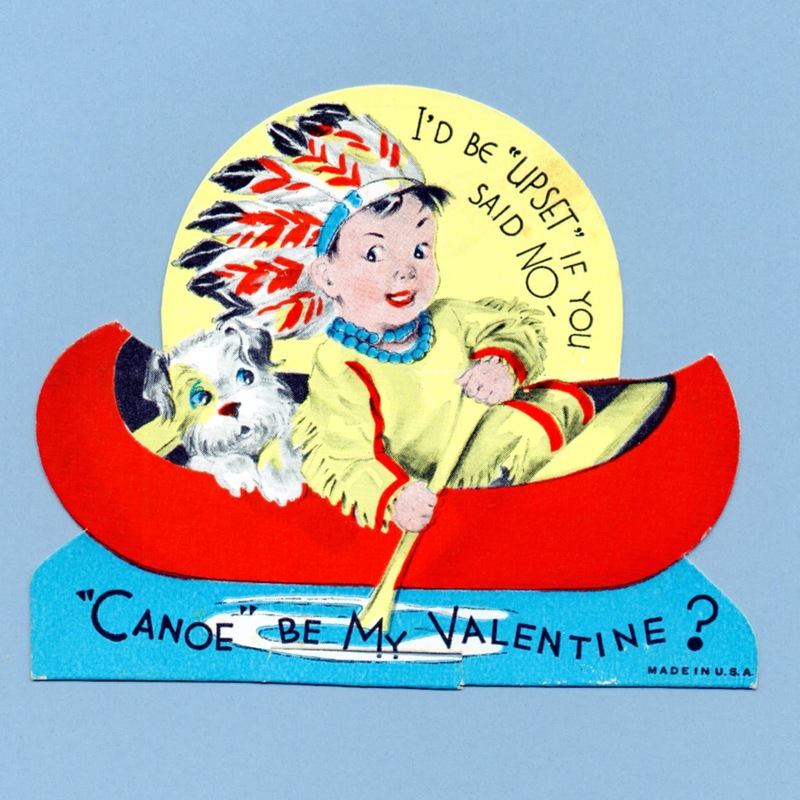 I'd be UPSET if you said NO - CANOE be My Valentine? Click here to browse the museum store for Native American themed valentines. I think the American Public should understand that we as American Indians are deeply offended by this. I hope noone can purchase these cards. They are not cute or funny they show the racism that is in the American idealogy of American Indians. I do not believe in censoring our past, especially the parts we might want to pretend never happened, as represented in cards such as these. That our culture is not saturated with this type of imagery to the degree of pervasiveness that it was not so very long ago shows we have made progress. Many who purchase these do so in part because they find them so offensive and so seek to preserve them to make sure that this cultural history is not white-washed. There are many shades of how Native people feel about the way we were portrayed. I for one, do find the stupidity in all the ugh, hau, wampum...but it is a fact..White Folks in this country were every ignorant. 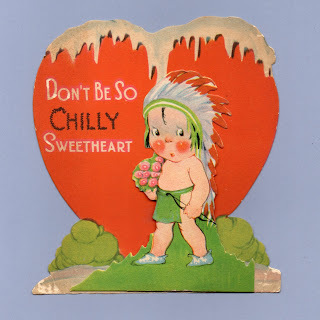 There are also Valentines of Black folks that seem very offensive. But it is a part of our past. 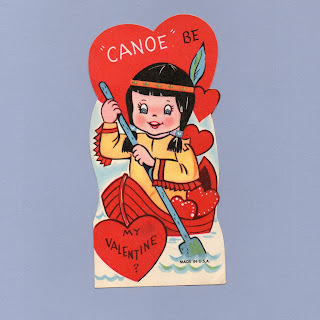 I like some of these because they are cute, we are people too and we have a right to be represented in the world...whether it be Disney Pocahantas, Native Barbie, cute little drawings...the fact is...there is a mystique and many folks are "wannabes." I don't take myself so seriously, that every little blurb about Natives by anyone (Natives even chew out Natives for not being offended by everything) makes me mad. There is a time and place for outrage...the boarding schools, "Indian" mascots, Land Theft...now THOSE are to be angry about. 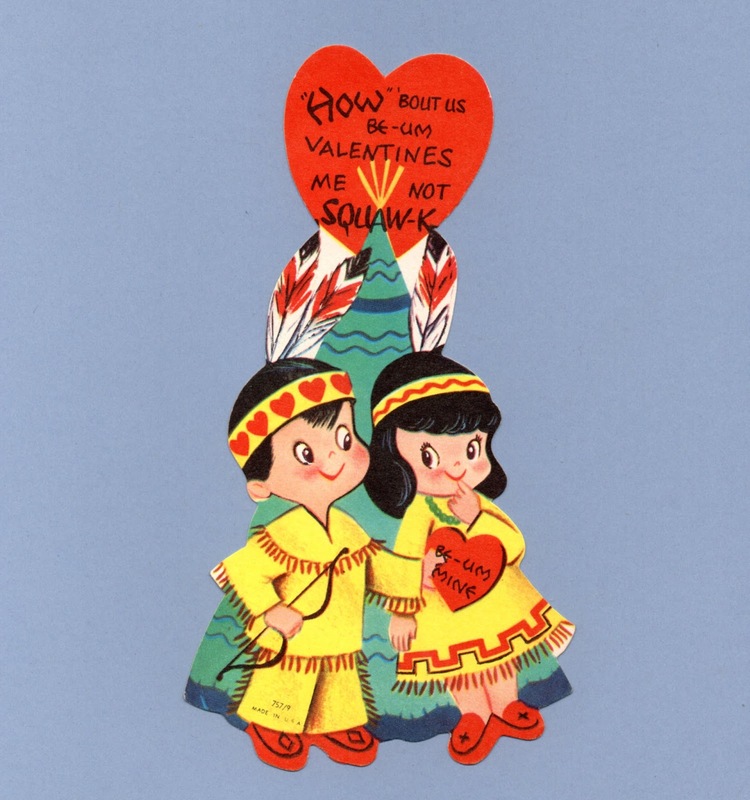 I can take a grain of ignorance in things as innocent as Valentines...Most Natives have a good sense of humor and we even joke to ourselves. I would say many of these are perpetuating stereotypes and you would rarely see them today. BUT...I agree...we have come a long way. 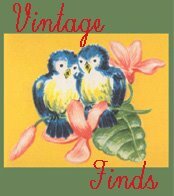 I collect vintage objects that have old time "racial" ignorance on them. It's interesting to see how we were viewed.